This is a follow up demo/review of iMPC Pro 2 showcasing some of the sampling capabilities. I will show you how to sample an external audio source (in this case a turntable) and then slice the samples out to the pads for beat creating. iMPC Pro 2 fuses innovative song creation with the iconic MPC workflow. iMPC Pro gave us a powerful sampler and beatmaker, and now iMPC Pro 2 has evolved into a full fledged song creation tool with the addition of vocal tracks, Audio Units integration, a sleek new design and tons of new features! Within the audio tracks, you can time warp, pitch shift, and rearrange your audio clips in real time. The sophistication of real time manipulation is captured in a simple workflow and sleek interface. You can choose from multiple input sources to record, including external mic channels, hardware audio interfaces, and IAA. Import existing projects from iMPC Pro and add your vocal tracks easily. You can now load any Audio Units instrument into an Audio Unit Track! Control your AU instrument with a classic piano keyboard interface and an iMPC interface with note variation, Flux Link, Note Repeat, 16 Levels, and more. 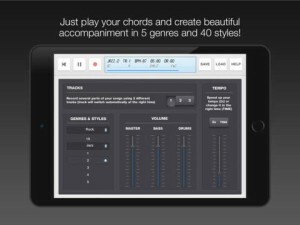 The app also features an improvement to the workflow for song creation. Song sequencing is faster, more powerful, and more flexible, so you have complete creative control. Designed exclusively for iMPC Pro 2, these kits cover some of the most iconic and cutting-edge beat genres available, from producers including ADSR, Rawcutz, SampleTools by Cr2, Niche Audio, and Sample Magic. Each kit includes 16 Hi Quality samples featuring sounds from 808’s to melodic hits and stabs, designed for the best user experience possible. iMPC Pro 2 also comes with 5 additional Sound Packs for FREE (valued at $35). Grab these packs in the AudioCopy Content Store: Essential Club Collection, Classic Cuts, Dub 2 DnB, Melodic Collection, and The Diploma! You can use them in hundreds of AudioCopy compatible apps (including iMPC and iMPC Pro). Unlock producer secrets and learn how to become a full fledged song creator with this tutorial series. iMPCU unlocks one course per day and gives you the tools you need to take your music to the next level. Fun for both new and experienced users, iMPC Pro 2 offers an expansive dive into the world of beatmaking and song editing through these courses. We’re excited for you to try it! – Record from built in mic, external mics, audio interfaces, instruments, etc. Today we’re going to have a look at an app called Band Creator by Wojciech Janiszewski. Band Creator is a simple drum and bass accompaniment app for iOS. You can play live into it using a microphone or an instrument on the input slot in Audiobus. I chose to put Audiobus to the test. I’m using an app called Real Guitar as an input device and it’s going to Band Creator as in the output slot. It took Band Creator a few tries to get the rhythmic timing right. I found using an external metronome helped but still even with the metronome and simple spot on playing it had a tough time. It could be something to do with Real Guitar who knows. Perhaps I’ll do another demo using the microphone input and an acoustic guitar. I chose Audiobus this time because this is a new feature for the app and there wasn’t anything online demoing it. We did finally get it right though as you see in this demo. It would be nice to have a metronome built into Band Creator. I had to use an external one. The tempo it guessed was a little slow but it was close enough. Also there is no stop and start from the beginning button just play and pause and you can’t edit the chords or timing once recorded. The sounds are really basic. Would be nice to have access to higher quality realistic sounds. Band Creator is now compatible with Audiobus, an app that lets you to connect your audio apps! 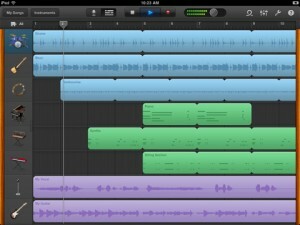 You’ll be able to use generated backing tracks as an input for other apps. Also, you can use another app sound as an input for Band Creator. Jam to the exact backing track you want. To create tracks we use quality samples that were recorded using real instruments. 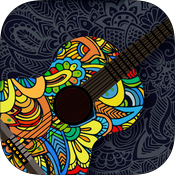 Band Creator accompaniments you using different styles: Rock, Jazz, Blues, Folk and R&B. Each genre has up to 10 different styles you can play to. Choose the one that inspires you and unleash your creativity! You can adjust volume separately for each instrument and control the master volume. You can change the tempo and even alternate it to play in double time! Band Creator has 3 banks for each session. You can record different song parts (verse, chorus and bridge) and change it automatically in the right moment. 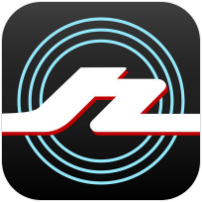 Band Creator is compatible with Audiobus, an app that lets you to connect your audio apps! You can use generated backing tracks as an input for other apps. Also, you can use another app sound as an input for Band Creator. Check out my buddy Xander from Apple as he gives us a demo of the Garageband instruments. • Use the Mixer to fine-tune each track’s volume — solo or mute any track, or adjust pan, reverb, and echo.